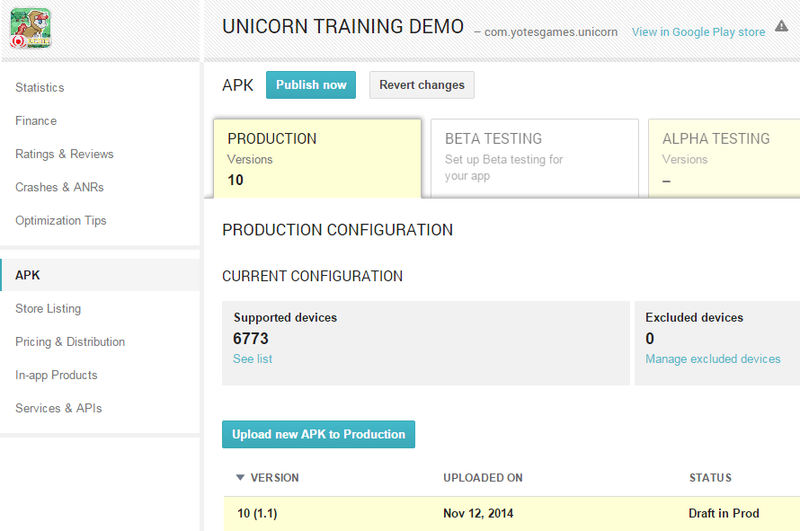 Unicorn Training is ready for launch! I sent it to Amazon & Samsung for approval and it will release on those stores next week. The Google Play version of it will be posted at midnight tonight and go live soon after (about an hour or two). 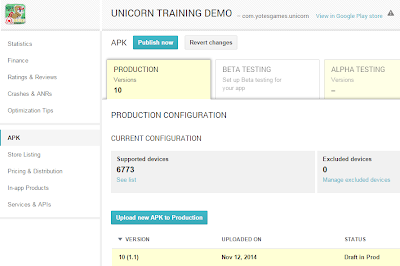 I also set up accounts on SlideME, GetJar, and AndroidPIT (android stores with a lot of international traffic) so people can find Unicorn Training there too! I'm counting on this being my most professional, polished, and popular game yet! Both the paid version and the free demo are sitting in Google Play waiting for me to push the launch button at midnight tomorrow. I've never been so hyped for my own game launch before and I'm really excited to see what happens next. I finally have an RPG in my portfolio! Come back tomorrow for a direct link to the game when it's up!